A great cheesecake treat courtesy of bakerella.com. 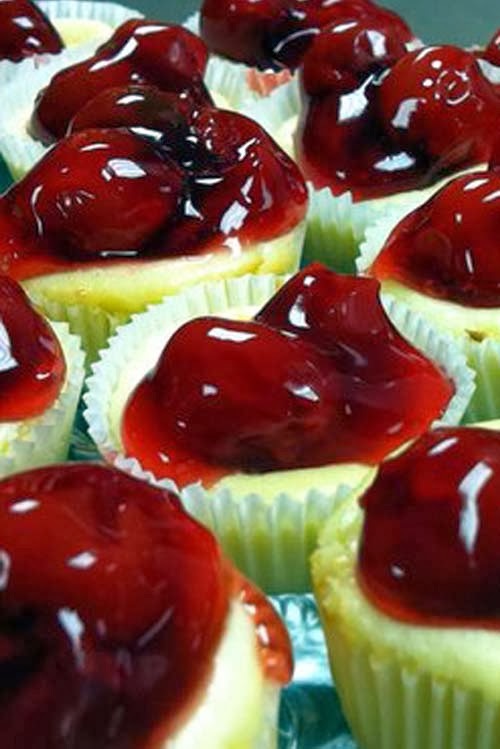 You just gotta love bite-sized cheesecakes. Tasty and super-easy to eat. You will also need a set of 48 2-inch aluminum baking cups. Not much information is given in the original recipe when it comes to making the cheesecake filling. Hence, below is what I did to do so. With an electric mixer on low speed, mix the cream cheese until creamy. Then add eggs one at a time. Mix well in between eggs.